Most drivers have had the experience of seeing a semi come up behind them in the rear view mirror. Many have seen trucks pass them at very high and illegal speeds. Speeding and tailgating can cause serious and even fatal accidents. 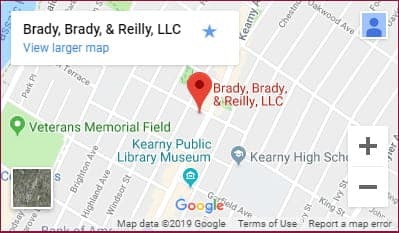 At the law firm of Brady, Brady & Reilly (BBR), in Kearny, New Jersey, our trial lawyers represent people who have been seriously injured in accidents caused by trucks that were going too fast or following too closely. We have successfully obtained damages and compensation for their injuries and expenses. When we visit with truck accident victims, we provide them with information about their options, their rights and the legal process. They learn about possible limits on the time available to file claims. We ensure they are well-informed so they can make decisions about their cases. The injuries caused by truck accidents, particularly those arising from a speeding semi-trailer weighing more than 90,000 pounds, can be catastrophic or fatal. When a truck accident is the result of tailgating, the chances of a multi-vehicle crash and serious injuries increase. We have helped people who have suffered brain injuries, quadriplegia or the wrongful death of loved ones as a result of tailgating and speeding accidents. Our law firm investigates the crash. We obtain records, especially driver’s logs. If a truck is behind schedule, the driver has a greater incentive to speed or tailgate. Whether or not this was a factor in the truck accident can be determined by a careful review of the driver’s log. We also request medical records and law enforcement accident report records, and determine whether there were any witnesses to the speeding or tailgating truck and the subsequent crash. We prepare every case for trial. If we cannot negotiate a satisfactory settlement with the trucking company’s insurance carrier, we will go to trial — and we will be ready. Our attorneys are trial lawyers and have many years of collective experience in the courtroom. Contact a lawyer at BBR to schedule a free initial consultation if you have been seriously injured, or a loved one has been killed, in a trucking accident caused by speeding and/or tailgating. We have been handling truck accident cases in northern New Jersey, including Newark and Jersey City, since the 1970s. We have helped people injured in tailgating and speeding accidents on the New Jersey Turnpike and I-95. We know what to do.